When people were speculating about the release of the first iPhone in 2007, not many believed that Apple would make a phone with a completely flat screen because the very idea of it was outrageous. Considering that it was released in a time where flip phones and buttoned brick phones were the dominant design, it made sense that a flat phone was unbelievable. However, once we all grew familiar with the revolutionizing design, curved phones started to make their way into the market. 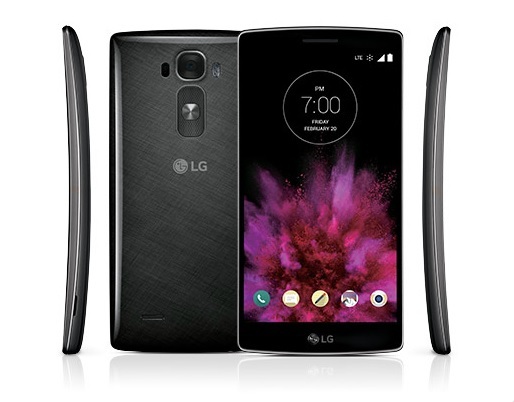 LG’s first curved smartphone was the LG G Flex, and we’re sorry to say that it was more or less a flop. It had an underpixelated screen, a creaky design, and not much else. The only thing going for it was the novelty. This year, they released its successor: the G Flex 2. Let’s take a look at how LG did on its second attempt. Although not named the company’s flagship, the G Flex 2 is a phone packed with enough features to be competition for other flagships such as the Galaxy S6 and the HTC One M9. This phone has vastly improved in comparison to its predecessor. In terms of display, the G Flex 2 now sports a smaller 5.5 inch sized one with 1080 x 1920 403 PPI pixel density. For a non-flagship phone, this is very pretty—in fact, some companies offer this pixel count for their flagship phones, too. We’re a big fan of gorgeous displays, but we’ve always found that the best specs don’t always mean the best experience. In this case, the G Flex 2 doesn’t have the highest number of pixels available, but it’s definitely still a worthy experience. Don’t let the original G Flex turn you off from buying the Flex 2—this new phone is miles ahead of its predecessor. The phone has a flexible, curved screen with a plastic body. The volume rocker and the power button are again located in the back. This particular design is beneficial for one handed use and those with smaller hands (but want a decently larger sized phone). My hands are on the smaller side of average, but it still felt comfortable in my hands. When using the device in either hand, the index finger rests naturally on the power button, but without accidentally pushing it. The battery door is removable, but the battery itself is not. However, it does come with a 3000mAh battery and fast charging capabilities. It seems like a fast charger is now standard for up and coming new phones, whether the battery is removable. We’re personally glad to see that LG didn’t skimp out in this department even though it’s not their flagship of the year. With battery life being one of the most important factors, a fast charger should sufficiently compensate for the non-removable battery. We really like that the battery door is coated with a self-healing coating because this means that if the phone is accidentally deposited into the same pocket as our keys, it wont be that big of a deal. Granted, it’s not bulletproof, so larger or sharper things can scratch through it, but it’s a nice safety net that we’re sure everyone can appreciate. Let’s talk about curves. The G Flex 2 has a subtle curve from top to bottom, making it comfier to hold, easier to slide into pockets, and supposedly better at taking impact when dropped. We found that the 5.5” phone was easier to maneuver with one hand because the slight curve felt more natural in our palms. The rest of the body is plastic to help with maintaining flexibility, but plastic means that the phone is significantly lighter in hand than, say an iPhone 6 Plus or a Galaxy Note 4. If you have girl pockets (you know, the tiny ones), then you’ll probably have the same problem as I did. The phone will not fit in your front pants pockets—however, because it is slightly curved, I found that I could put it in my back pockets without fear of “Bendgate” happening. While the original G Flex creaked and moaned when the phone was flattened, its successor shows no signs of complaint. You can press down the on the phone without fear of damaging it. This is a vast improvement over the last iteration, considering the entire selling point for this phone is focused on its ability to bend, flex, and bounce back into shape. When we watched movies on the phone, we felt like the unique design added depth. It wasn’t a huge change in terms of experience, but it was noticeable. Even when we browed the internet or even Instagram, everything felt a little more immersive. Maybe it’s because it’s the novelty of a curved screen, or maybe LG’s desired affect is actually working. Either way, it’s pretty cool. The G Flex 2 uses Qualcomm’s latest Snapdragon 810 as its processor, and it sports 2GB or 3GB of RAM to back it up. LG offers two variations: the 16GB of internal storage model has 2GB of RAM, and the 32GB version has 3GB of RAM. Either way, the phone offers external memory expansion up to 2TB. like the HTC One M9. The Snapdragon 810 is top-of-the-line and it certainly performs like it. There was absolutely no lag when playing video games with high quality graphics when streaming movies. This phone performs like a flagship phone for sure. One thing we found lackluster was the camera quality. As previously demonstrated, megapixels aren’t everything, so we were expecting more from the phone even though the snappers only featured 13MP in the rear and 2.1MP in the front. The details of photos were decent, but they turned a little too grainy as soon as there was a little less light available. Even in bright light, the colours seemed muted. The good news is that this phone has dual LED flash, optical image stabilization, and it means the colours are more realistic than saturated, but photos still wont pop out at you. The lackluster colours might bother even the most casual of photographers. Those who are vying for Android’s latest software update wont need to wait when it comes to this phone. The G Flex 2 ships with Android 5.0 Lollipop, running LG’s own interface. The phone features a “Knock Code,” which means that you can use a specific variation of tapping on the phone in order to turn it on, rather than pressing on the power button. Another funky feature of the G Flex 2 is the Gesture Shot and View. The front camera will detect certain gestures to snap a selfie, and then you can quickly tilt the phone down to view your photo. Overall, we found that this phone is more than decent for one that’s not named the company’s flagship of the year. The body has vastly improved from last year’s, and its processing power puts it into the competition against other big shots like the Note 4, Galaxy S6, and the HTC One M9. However, we still think that the curved screen only minimally adds to the user experience; it seems more like a gimmick than anything else. 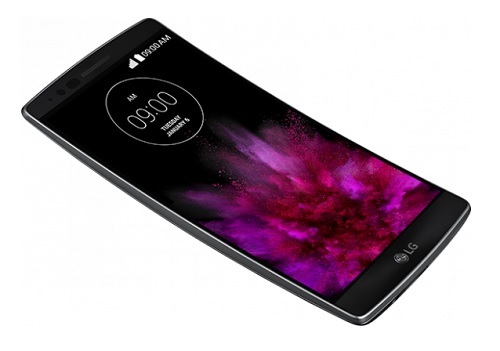 Users who are looking for a decent smartphone with flagship capabilities will have many other choices—but users who are looking for a novel experience will find that the LG G Flex 2 will fit your needs.